Costa Calero is located on the south eastern coast of Lanzarote. This charming resort is rather upmarket with a marina that is filled with yachts of every size including some rather opulent versions of the humble boat. Although the accommodation is five star, with our price comparison site we can find you the company offering the lowest price. Costa Calero holidays are very popular with couples looking for a peaceful retreat where they can relax in sunshine. Fly from many regional airports. With budget airlines departing from many regional airports, flights to Lanzarote have never been more affordable. There is no particular holiday season as Costa Calero can be visited at any time of year. The Canary Islands have an enviable climate with hot summers and warm winters. The summers rarely become too hot as there are no extremes of temperature. The Canaries are a great place for finding winter sun without the need for a long haul flight. Costa Calero provides a variety of water sports even though it doesn't have a beach. 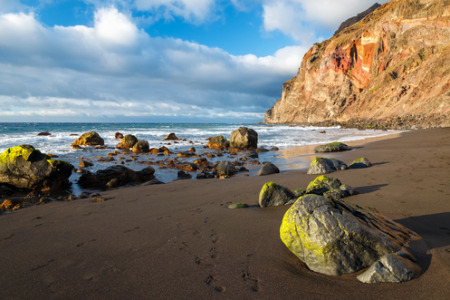 Those wishing for sand can visit neighbouring Puerto Del Carmen which has a long expanse of dark volcanic sand. There are many fine restaurants especially down by the marina. These can be pricey but there are many more opportunities for cheaper fare in Puerto Del Carmen. That resort also provides a lively nightlife, very different from that which is found in Costa Calero. Lanzarote is a wonderful island with a dramatic landscape. A trip to the Timanfaya National Park is a must. Its vast volcanic craters and lava formations resemble a lunar landscape, and clearly illustrate the turbulent birth of the island. There are many more attractions and car hire is recommended if you wish to make the most of your trip. If you've never been to Lanzarote before, and you fancy a cheap Costa Calero holiday but find the thought of trawling through web page after web page looking for the best deal too arduous, try our simple search facility. You'll find over three dozen travel companies, including leading brands, competing for your custom. It is simple to use, and remember, competition brings out the best bargains. Our search facility enables you to see, at a glance, the Costa Calero holiday that is the cheapest, and the one that offers the best value for money. It couldn't be easier. All you have to do to secure the holiday is make a phone call. As offers change daily, in order to avoid disappointment, you should ring today.